Power issue of laptop or notebook computer is common. There are different factors to consider why this happen to our portable computer like the notebook. Consider that you charge your notebook computer over time, then you sleep. But after you arise in the morning, then you power-up it, it can’t power on now. This may cause also of the over fluctuations of current/voltages of the electrical lines. And the very worst thing we did, after it got empty because of low battery, we charge it while we use it. This will contribute power issues and much as we use it everyday. If you suffered with this error of your notebook or laptop computer, consider and do the following lines of the paragraph below. Hard rebooting by pressing the assign keys can lead to the recovery or do a factory restore of your notebook computer. See below the different hard or reset rebooting keys. IBM- press F1 during the first boot screen, then navigate to the restore settings. Acer- turn off your laptop, once you see the Acer screen press ALT F10. Asus- power on or reboot your computer, when Asus logo screen display press F9. Dell- power on and once the dell logo appear, press F8 keys several times. Toshiba- press the 0 (zero) key while power-on your computer. By changing the power source where you get an electrical voltage during voltage charging like from AVR (Auto Voltage Regulator) to UPS (Uninterrupted Power Supply). It can help to regulate voltage output came from the power adapter of your computer. And it can help to recover your computer from unregulated voltage interruption that cause no power. By resetting or changing slots of RAM can restore the power of your computer. We can consider that the RAM was creep during the over voltage. And there are tendencies that its disconnected shortly to the contact pins. By resetting it, your computer will back to normal function during power-on. Power Issues like also as no display on your computer. To isolate this two abnormal function during power-on, you can use a monitor screen. Use either the available built-in display ports like VGA, hdmi, and DVI. To assure that your computer has a display or not, because the LCD is failure or damage. The most common peripherals of your laptop that cause to no power is the AC adapter or other user called it charger. You can test it the voltage output using a voltmeter (VOM). You can check the voltage output at the back of your laptop. If the voltage output is very low, this will cause also to a random reset of your computer. To make sure that your AC adapter is normal you can use the other AC adapter that have a same spec. 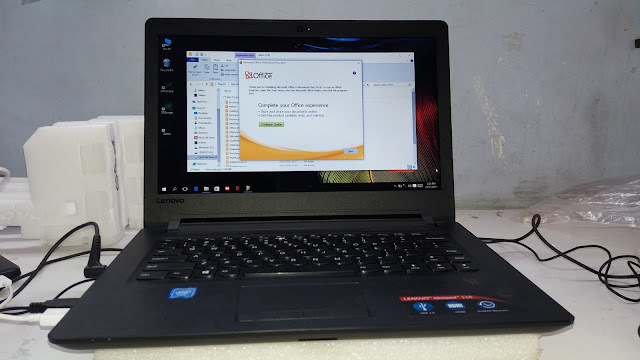 If you assure that your computer have no power or no display, even you perform the above I said, you can seek assistance of any persons expert of portable computer. Or the very safety is your service center. Remember also, if your computer is a warranty, do not attempt to open it, it can void your warranty.